Chancery Judge Campaign in Full Swing. Madison, Yazoo, Leake and Holmes Counties will be getting a new Chancery Judge in the November 4, 2014, election. A Chancery Judge hears matters involving wills and estates, child support and custody of minor children, divorces and alimony, and lunacy or commitment hearings. The Judges also handle other matters, such as petitions to incorporate or enlarge a city, the establishment and management of drainage districts, children’s welfare funds, and other projects. Why should you care? Because this will be your judge if you find yourself in Court and it’s not due to a criminal case, a car wreck or an unpaid bill. Bluntson has practiced law in Mississippi for the past 20 years. She began her legal career in 1994 as a staff attorney for Mississippi Child Support. Thereafter, she opened her private law firm where she handled divorces, child support, child custody and wills & estates cases. A few years after the death of her husband, Barbara Ann was hired by the City of Jackson as the Chief City Prosecutor. She maintained that position for 10 years. As city prosecutor, Barbara Ann and her staff prosecuted in excess of 8,000 misdemeanor cases per year. She also assisted domestic violence victims with Petitions for Protective Orders when they were filed in municipal court. Barbara Ann currently serves as Deputy City Attorney for the City of Jackson and City Prosecutor for the City of Durant. She is also a certified Family Law Mediator. Clark is running for Chancery Judge because he believes the citizens of the 11th Chancery District would benefit from his experience, skills and proven record of serving the public in the district; as an Attorney, Municipal Judge and Youth Court Judge. He has represented the citizens of the district in Chancery Court handling all types of cases. He touts that he is the only candidate that was born, raised and practiced law in District 11, Sub-district 1. If elected Judge he promises to work daily to be fair and impartial judge who demonstrates sound judgement and run an efficient court. Each name above is clickable, directing you to their election site as well as their FaceBook page. Do your research, pick a candidate and vote! 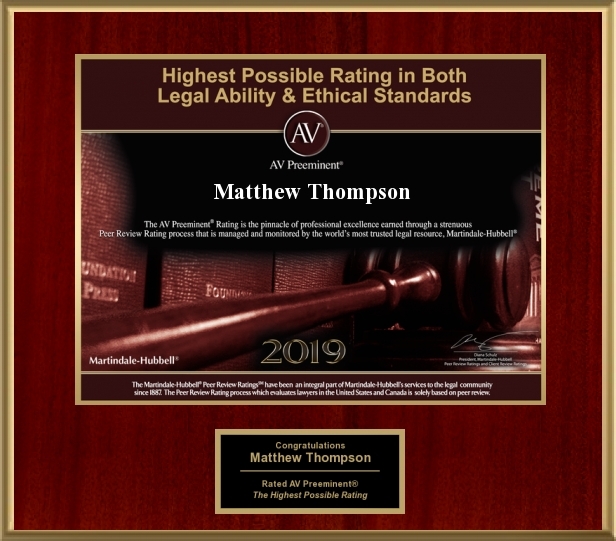 Matthew Thompson is a Child Custody and Family Law Attorney and handles cases in Chancery Courts throughout Mississippi. Previous PostLET it GO! Disney on Divorce.Next PostDon’t Call Your Attorney Over Lunch…if you can help it.